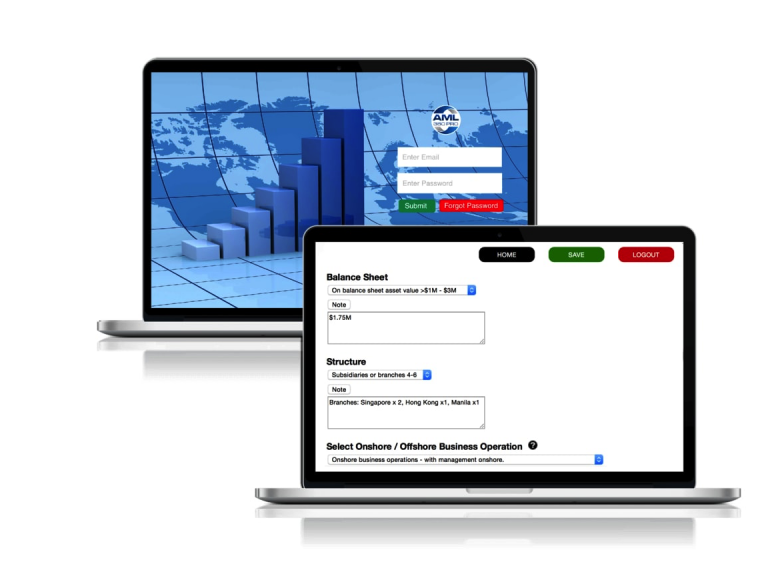 Login to your AML360 account. Select responses from the dropdown box. Once done, click ‘Calculate’. You will receive a comprehensive risk report, including heat maps and explanatory notes to describe each risk, along with prompts for your programme development. AML360 does not provide its users a template. Any information that is unique to a business can be incorporated. This is the difference between a template and a reliable risk methodology. Your risk assessment report provides tips and prompts for developing your programme. This ensures your risk programme is aligned to your risk assessment – a regulatory obligation. You pick the time to complete your risk assessment and programme. If an interruption occurs, save your work and finish when it is more convenient. AML360 provides a full data report with commentary on why certain elements of your business have inherent high risk. We carefully explain these factors and provide guidance information for the development of your compliance programme. 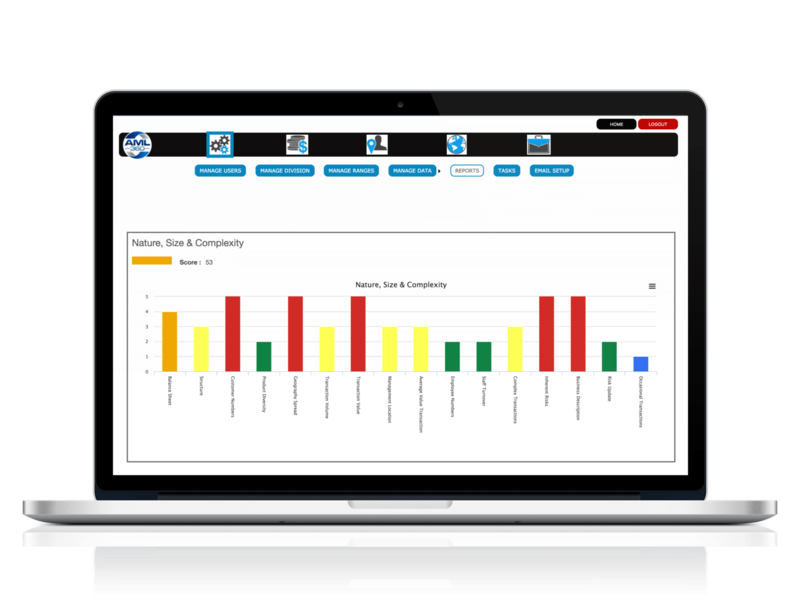 Heat maps and a risk gauge assists you to easily interpret hot-spots across your business operations. 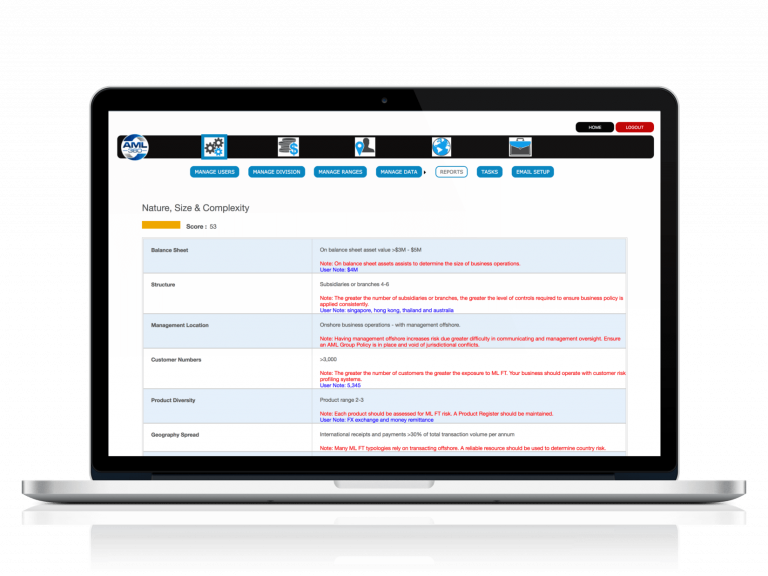 If your business has multiple entities, you can examine risks at a group level or drill down to single reporting entity. We have tailored risk assessments to meet the requirements for reporting entities supervised by the DIA, RBNZ or FMA. Your assessment examines the regulatory key risks and incorporates findings from the sector and national risk assessments. Easily keep your risk assessment and programme up-to-date. Login to your dashboard and use the edit feature, enter any changes, then save. Simply login and follow instructions on the screen. All the hard work has been done. 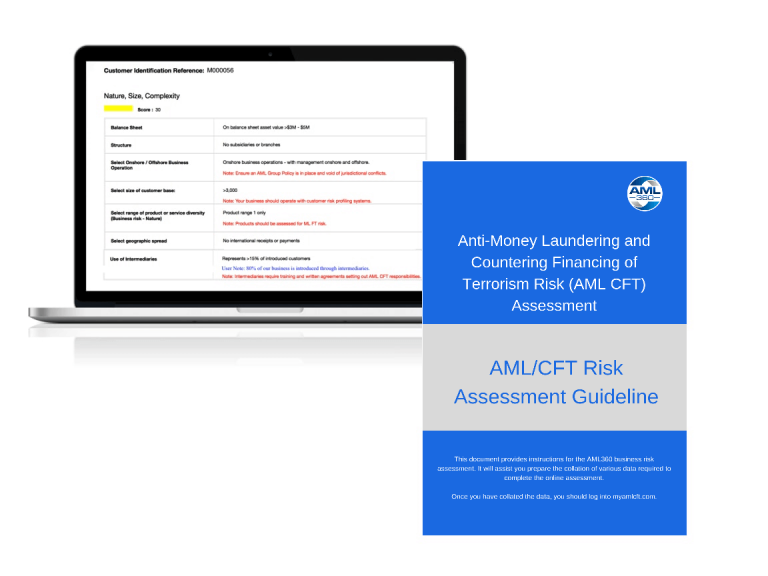 AML360 makes AML CFT compliance as easy as 1-2-3.